Prominent & Leading Wholesale Distributor from Chennai, we offer asd-90c / asd-90w soap dispenser, asd-01 ad soap dispenser, as-cm soap dispenser, asd-37w soap dispenser, asd-36w soap dispenser and as-sp soap dispenser. We are the prominent organization of this domain engaged in offering a wide spectrum of Soap Dispensers. 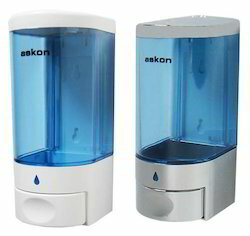 These dispensers are equipped with 900 ml capacity with 1-1.5ml drop. The provided dispensers are equipped with 0.44 kg unit weight. Furthermore, the offered dispensers are manufactured using high quality ABS plastic body and available in white and chrome plated finish. Besides, clients can get the dispensers from us at industry leading rates. Our offered ASD-01 AD Soap Dispenser is a smartly designed 900 ml capacity soap dispenser. This modular dispenser contains a container assembly and control mechanism. Furthermore, its control mechanism is separate thus is free from any kind of damage. This works with use of 6 AA Size alkaline batteries that dispenses 35,000 shots per set of batteries. We are offering ASD-37W Soap Dispenser to our clients. 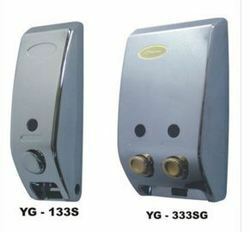 We are offering ASD-36W Soap Dispenser to our clients. We are offering EPDM Rubber Bellow to our clients. 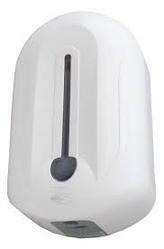 Our offered ASD-110AD Soap Dispenser is a classic looking white colour ABS body make. This comes with a proficient capacity of 1110 ml and a sensing range of 3 inches. Additionally, the entire unit is absolutely light in weight that is of 0.7 kg. This energy efficient dispenser works with 4, 1.5V AA size alkaline batteries. We provide best quality Automatic soap Dispenser, following are the specifications we provide to our clients. Smart Design: Modular design for easy maintenance. Container assembly and control mechanism are 100% separate so that the control mechanism is free from damage by soap. BLUE LED Indicator Status: LED flashes continuously indicating low battery.